The arrival of goods is saved soon, thank you in the future. This review is about item#8558137. 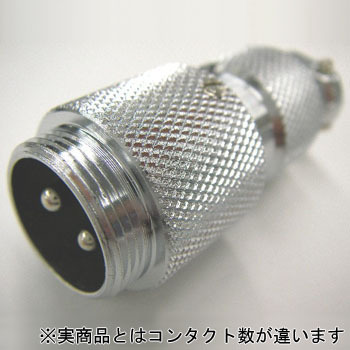 I searched connectors of Sanwa Connector Laboratories, and hit with Sanwa connector at Monotaro but why is the product? Seven-star connector, I think this is a problem first. With a similar product name system, screw engagement of the connector itself was no problem but the thickness of the pin terminal was different. Sanwa female connector has some continuity in the Seven-Star male connector but Sanwa male connector can not be inserted into the Seven Star female connector. Netscape search should display the product the user is looking for, and should not be misunderstood. This review is about item#8558076. I am relieved that Seven Star products will work as trusted. This review is about item#8558173. A female connector is attached to what you got at the auction and you purchased a male connector to use it for extension. I was worried that what I bought at the lowest price, I bought through mail order was suitable for those on hand, but you can check the drawing and size on the net, and I am very grateful that I can purchase the perfect product. This review is about item#8558146. Low cost General-purpose round connector is a convenient series because it has various variations. Although it is an old soldering contact, since it is nickel plating, it is prone to cause soldering defects with lead-free solder of flux with low activity recently. It is saved when solder, crimp contact can be chosen like MS connector. In addition, Another, because it was out of stock, it was long delivery. I would like stock management so that it can be delivered immediately if there are a few. This review is about item#8558112. Because I am very solid, because it is heavy, I think that the burden on the cable will be lost if you make it lighter. This review is about item#08558121. This review is about item#08558112.